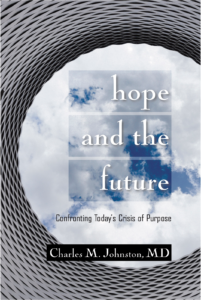 These two pieces are excerpted from Cultural Maturity: A Guidebook for the Future. Once we step beyond Cultural Maturity’s threshold, in an important sense every question becomes a moral/ethical question. More commonly, we’ve divided concerns into those that are moral and those that are not. With our Modern Age, we’ve done so in a particularly explicit way. We’ve come to view the products of whole cultural domains as “value free”—as good in and of themselves. Science/technology and economics/business represent the two realms that in modern times we have most often seen as value-free. In fact, neither of these spheres has ever really been value-free. But while we have operated within the context of Modern Age values and beliefs, the fact that we’ve often acted as though they have been has rarely gotten us into great trouble. “The more scientific and technological advancement the better” and “the more economic benefit the better” have worked as acceptable rules of thumb. But today things aren’t quite so simple—and in the future they will be even less so. Let’s take our two broad spheres one at a time. “More is better” still applies to science and technology at their best, but today such assertions need to be tempered by a acknowledgment of at least the more obvious kinds of limits. We are better appreciating that there are situations where technological solutions may present unacceptable risks, or where constraints may exist to how much science and technology we can afford. Many important future science- and technology-related creative insights will have as much to do with what we it is right to do as what we can do. But as important for our reflections are limits that relate to how Cultural Maturity’s changes alter how we think about the roles of science and technology, and, ultimately, how we think about scientific truth itself. Culturally mature perspective’s whole-box-of-crayons vantage makes it clear that the kind of thought that underlies scientific and technological assumptions doesn’t represent the whole of understanding. This does not make either science or technology any less significant. But it does bring attention to the importance of placing their contributions within a larger systemic context. At the very least, we need to better tease apart where the kind of understanding that science and technology draw can help us and where what it is good for may be limited. Nobel laureate Gerald Edelman put the larger, systemic picture this way: “Whatever we establish scientifically to be true, there is much in our experience that is of our own making and much of it the most precious part of our lives.” There are a lot of things science can help us with quite wonderfully—and a lot of other things for which it really doesn’t have much of great value to say. Previous reflections on the ultimately “procreative” relationship of polar opposites help provide the needed perspective. Science does very well with concerns where “harder,” more archetypally masculine sensibilities prove sufficient, that is, with most anything we can describe rationally or in terms of physical interactions, behaviors, or logical/mathematical constructs. But it does much less well whenever “softer,” more archetypally feminine sensibilities play a significant role—as with self-understanding, human interactions, art, or spirituality. Einstein reminded us of the needed distinction in warning that “we should take care not to make the intellect our God; it has of course powerful muscles, but no personality.” We are better seeing where problems may require more than scientific or technological solutions. Bringing this kind of larger perspective to how we think about science’s role is essential. Often, today, we find thinking that becomes a narrow scientism—thinking that gives validity only to the explicitly material. At the lease, this kind of thinking too easily abdicates science’s larger moral responsibility. Later I will describe how it often leads to flagrantly erroneous conclusions. Ultimately, culturally mature perspective does more than just alert us to where science and technology may have limited application; it puts scientific truth itself in a new light. There is nothing particularly new in the observation that science can’t explain everything. Thinkers of a more romantic or spiritual bent have emphasized this conclusion from early on in understanding’s history. Whole-box-of-crayons systemic perspective goes further to present a fundamental challenge to past assumptions that made science’s methodology objective and thus safe from fundamental questioning. Science is objective in the sense that its conclusions are based on rational questioning and repeatable physical observation. But increasingly we recognize that even when what we study would seem quite appropriately the province of science, these approaches don’t address or reflect all we need to consider. Timothy Ferris put this more basic limitation provocatively in his book Coming of Age in the Milky Way: “It is the faith of [classical] science that nature is rationally intelligible.” An objectivity that leaves out essential pieces of the evidence represents a limited objectivity at best. Key to this inquiry is the recognition that any truth that succeeds as culturally mature truth will, in the end, present a dilemma for science—at least to science of the classical sort. I’ve described how culturally mature truths of every sort ultimately “bridge” polarities, even truths of the most hard-nosed sort. If this conclusion holds, understanding leaves science in a pickle not just when it comes to more ephemeral concerns, but with concerns of every sort once we step over Cultural Maturity’s threshold. Notice that science—at least when interpreted narrowly—runs into difficulties when it tries to address any of the notions I’ve drawn on to describe culturally mature truth, for example, responsibility (of the needed double sort), intelligence (in the multiple-intelligence sense), systemic thinking (of the newly dynamic and complete kind), creativity (in the fully encompassing definition), purpose (in the sense that addresses today’s crisis of purpose), and maturity itself. Ultimately, it lacks the completeness of perspective needed to fully address any of our three threshold tasks. Traditional scientific truth remains single-crayon truth. None of this is to diminish science. The fact that science can comfortably describe realities that “bridge” polarities (well, not always that comfortably), and often maneuver powerfully in such realities (as with the equations of quantum mechanics) is profound. But science’s difficulty with explanation does leaves us with essential questions about how best to think about scientific truth beyond Cultural Maturity’s threshold. Culturally mature science recognizes that exactly what makes science significant also restricts what it can accomplish. Culturally mature science is humble regarding its limits. And simultaneously, from that place of mature respect, it endeavors to reach as far as it is able into existence’s deepest creative mysteries. Essential leadership tasks: Scientists must provide leadership in addressing the growing number of planetary challenges that require sophisticated scientific insight, while never hiding from the deep questions of ethics and values—and understanding itself—that will inescapably accompany advances that serve us. The domain of science is concerned with understanding what is “out there.” It is not quite as abstractly right-hand as the world of money has today become. But it comes close in modern times with its almost exclusive concern with what can be materially measured. Because of this right-hand orientation, we can miss the deep ways in which scientific belief has evolved. But it very much has evolved over the course of culture’s story, and in ways consistent with this book’s broader developmental picture. While Aristotle’s early contributions gave new attention to the materially concrete, a left-hand “unmoved mover” remained primary. Medieval science, which understood the body in terms of visceral humors and at least entertained the practices of alchemy, was about mysticism as much as it was science as we think of it today. Science in the sense of repeatable, physical measurement appeared with the Age of Reason and the solidification of Late-Axis sensibilities. I’ve described how this new focus had profound influence, and not just within science. Science’s new, arm’s-length—“objective”—kind of understanding became our generally acknowledged model not just for scientific truth, but for truth of all kinds. Over the last hundred years, science has evolved further, and in ways that have continued to provide conceptual leadership. I’ve frequently here drawn on contributions from the sciences, and often from as far back as the beginnings of the last century—for example, the initial discoveries of relativity and quantum mechanics in physics, and early systems thinking in biology. With each of these advances we witnessed not just a wholly new insights in that field, but important steps toward addressing the more formal task of culturally mature conception. This cutting-edge role could seem surprising, given that we might expect the hardest of pursuits to be the last affected by more integrative changes. One explanation is similar to that which I just put forward to explain why it is not surprising that business has contributed important innovations when it comes to leadership. Scientific inquiry, as apposed to inquiry in “softer” realms of understanding, allows immediate demonstration of an explanation’s usefulness. But there is also a fascinating further explanation consistent with a creative frame. In the section on art, I will address how advances in the arts, because they draw on the most germinal aspects of intelligence, often presage advances in other spheres. While we tend to think of the hard sciences as almost art’s opposite, the most abstract of scientific thinking can often similarly draw on the most germinal aspects of ourselves. We see this with scientific thinking that attempts to deal with the rarefied worlds of the very large or the very small—the most primordial aspects of the physical (as with relativity and quantum mechanics). We see something similar with thinking in biology that requires getting close to making sense of life itself (as with early systems ideas). This major contribution to Cultural Maturity’s task acknowledged, it is also true that scientific perspective, at least of a classical sort, can—and often does—stop decidedly short when it comes to the needed new maturity of understanding. Early on, I brought attention to the limits that traditional scientific understanding, with its mechanistic assumptions, inherently confronts. In particular I’ve emphasized how these limits come into play where the focus of inquiry is not just life, but the particularly dynamic kind of life we are by virtue of being human. I’ve made the assertion that no culturally mature concept—whatever its concern—can be effectively grasped if our thinking stays limited to the mechanistic assumptions of a traditional scientific worldview. Integrative Meta-perspective directly challenges the basic assumptions of Modern Age science. Indeed, the concept of Cultural Maturity itself remains beyond us to effectively grasp if understanding remains limited to classical assumptions. 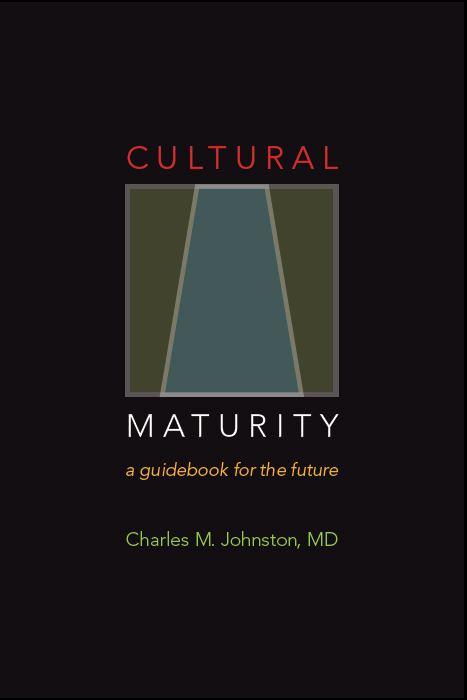 In Chapter Seven, I described how traditional from-the-balcony perspective runs into difficulties when it tries to make sense of any of the notions I’ve drawn on to develop the concept of Cultural Maturity. In each case, deep understanding requires a systemic completeness of perspective that classical science cannot achieve. With Chapter Nine’s look at Post-industrial/Information Age scenarios I went further to describe how ideas based on a classical science worldview can explicitly get in the way when it comes to the kind of thinking the future requires. I observed how, with Transition, science’s approach can be taken to an ideological extreme—becoming a narrow scientism and producing only naïve and simplistic conclusions. Again, the limitations of such thinking are most obvious when it comes to ourselves—for example, what we see with the unhelpful, even silly conclusions that arise from thinking in the cognitive sciences that fails to understand intelligence as anything beyond complex computation. But we also find thinking today at the cutting edge of the hardest of hard science that smells suspiciously like Transitional Absurdity. The technological sphere similarly presents a good-news/bad-news picture when it comes to the tasks of Cultural Maturity. Digital technologies provide a good example. I’ve described how the dynamically networked reality of digital technology is very much in keeping with needed new ways of understanding—how we can think of it as both a reflection of new understanding and a force that supports further understanding. At the same time, digital technologies can be applied in ways that produce the worst of artificial stimulation in the name of meaning. With Transition, they can also lead us to subscribe to some of the most naïve of limits-denying techno-utopianism. Going forward, scientific inquiry and technological advancement will be critical to addressing all manner of concerns with major implications for our future well-being. To the degree to which new insights have their roots in culturally mature perspective, with its appreciation for both multiple ways of knowing and the fact of real limits, science can also be expected to contribute in important ways to the development of fresh ways of understanding. We can think of the patterning concepts introduced in this book as “scientific” in this new, more complete sense.